I reserved online, shortly after I reserved I received a follow up phone call that answered all of my questions. When I showed up at the facility they were quick and professional and the transaction was seamless. Staff not very friendly their ad is misleading. Exceeded expectations by a mile. My new unit was ready when I arrived. Pleasant counter person. (A blonde lady) Attention to detail, explained everything. Nice and easy. Zack was great. I think that was his name. very helpful and informative. The guy in the office was so willing to help me out with my questions. Also everything was so clear and easy to understand. Excellent services. 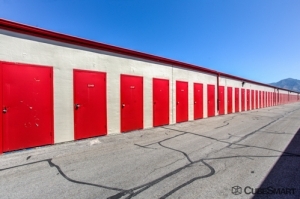 Overall easy, pleasant experience setting up a storage unit at this facility. After several infuriating attempts to find Storage, Zach was a breath of fresh air! Nice facility! Great customer service. Thank you! 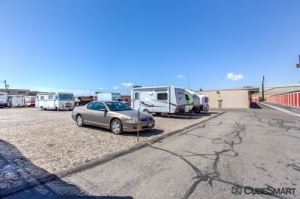 Great price and clean unit. Went to move stuff in on the morning of July 20th and I found 2 people sleeping in the unit. Both left immediately. Only thing is that the cube smelled terrible of smoke. Wouldn't want to put a couch in there! Guy running the place was friendly and got me taken care of quickly. 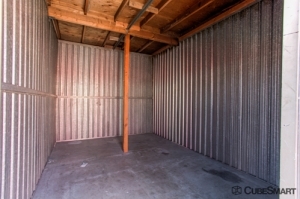 Moving from one storage unit to a new one; I was pleasantly surprised at how clean this place is. The office got me processed quickly and made it painless. I would definitely recommend this place. Manager was very nice, helpful and patient. They seem a LITTLE too family oriented, the manager that lives there doesn't look like he could stop much but they were very nice and got me in quickly! Clean, size better than expected with 10 foot ceilings instead of 8. Great customer service a day rates. I have only been in the storage for a couple of days, but they were easy to work with and the storage was clean and ready. Your facility was the best suited to our needs. Thank your for all you did. Storing my stuff at smart cube as been a good choice for me.The staff as been helpful and courtoua. Loved it. The staff were very friendly, check in was painless and fast. Regina is the best! Super nice and accommodating. Very professional and attentive. Explained everything very well and so courteous. The unit I got wasn't as clean as the one I veiwed but hunter was very helpful and kind. The staff was great, including Ragina. It met every requirement I was looking for in a fashion better than imagined. Easy clean and quick. All the things i needed. This place was very easy to move in with and very quick. Their pricing was right and i had my key within twenty minutes of walking in the front door. Very nice work CubeSmart! We called by 9 AM, started getting things moved in by 4 in the afternoon. We appreciate the hours and the price. Paper work....about 10 minutes. It was good. Thank you. Great convenience and the other side effects of climate change. Friendly service. Easy access. Got a call 20 minutes after making a reservation, and had a space within an hour. I made the reservation online. 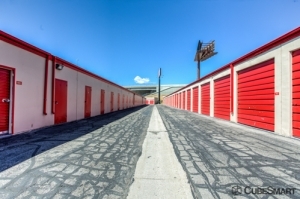 I currently have a storage unit at a different place with a completely different facility. 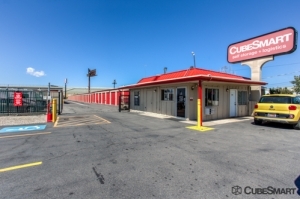 At cube smart I was able to find a bigger unit than what I'm currently renting and a lot more cheaper per month. Drew is the on-site manager. He was friendly, answered all my questions. He was great to work with. I was offering the first month free and 15% off my monthly rent for signing up online. I love it. Super competent manager. Easy access. Easy to work with. I rented this unit for a family member. Drew worked with us to accommodate all that we needed, getting the unit set up in my family member's names, gave us information and options on renter's insurance, and made it possible for me to pay for the unit for a time period. He also made sure that my credit card was protected and is not on file for additional charges. WIN for me. WIN for my family members. Great service. Thanks. There are sharp screws sticking out of the walls of my storage unit. Only complaint. 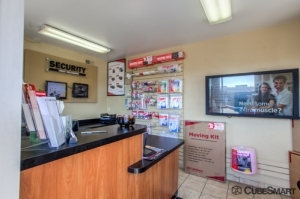 Helpful clerk, clean unit, secure. I was helped by a helpful and friendly woman. The unit was well kept and the whole facility seems in good repair. Great price. The lady was very helpfully, informative, made sure to get and help me with anything I needed. excellent place to store those extra things not wanted around the house. Customer service is fantastic, and are more than happy to help you out in any way they can. Excellent security at the facility. I was originally told my movers could start getting moved in while we were taking care of paperwork the previous week. When I arrived however, I was left with movers on the clock that were unable to move into the unit until paperwork was completed. This of course made the check in processed rushed, which it shouldn't have been. Drew was extremely helpful and friendly as we set up my storage unit. I haven't had any problems with the service! The move in was quick, the units spotless! 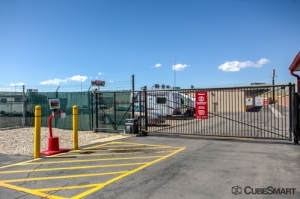 People were very friendly and the unit was clean. It even had a light in the unit which was very helpful because we had to move into it in the dark. Julia is quite helpful to new unit renters. The entire process of moving in to my storage unit was quick and safe. The manager Julia is a very courteous young woman. Stress-free and easy. Great customer service. Very professional. Julia, the manager was very rude to my wife. She came home in tears after being denied to fill out the paper work because Julia was not familiar with Green Cards. Just moved in yesterday. The lady at the counter was very helpful and friendly. The place is very secure, and really clean. Good experience! Needed a small storage unit on short notice. The customer service guy on the phone was super helpful and nice. The man who helped me at the actual location was also super friendly. The unit is clean and secure. I feel safe leaving my belongings there for an extended period of time. I was in a dire situation of needing to find a storage unit asap. Cube smart was the best selection out of 5 that i researched. Very nice staff and very helpful. I would recommend cube smart to anyone. Their representative, Drew, made us feel welcome and caused us to return and rent the space.Give them a try. You won't be disappointed. Fast, easy, efficient, really good customer service. The employee that helped me, I forget her name could not have been more helpful. She was an absolute pleasure and I would recommend your facility to friends, just because of her kind and helpful nature. Very friendly staff. 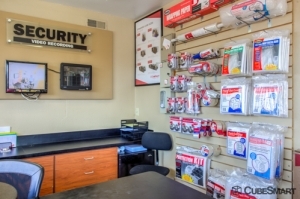 Be prepared to spend a little time chatting on your initial visit. Charges "mandatory" insurance coverage fee until you bring in Renter's insurance/Homeowner's insurance coverage proof. This charge was not listed on any of the internet info I saw. They assured me this is standard in the industry, but I wonder. Worth checking out when you're shopping around - or bring that info with you when you first sign up. I had a very smooth experience getting into my storage unit. The door got stuck on the first unit we tried but the manager was very accommdating for me and put me in a storage unit that worked perfectly. The woman who helped me get into my storage unit was very helpful. She explained the policies and was supportive during a rather trying personal time for me. Thank you for your help!